How many pairs of shoes does one girl need? As with the answer to the meaning of life in The Hitch Hiker’s Guide to the Galaxy, it’s 42. Co-incidentally, it’s the age I’ll be this year. So that must be right, mustn’t it? Actually, I don’t actually know how many shoes I own. 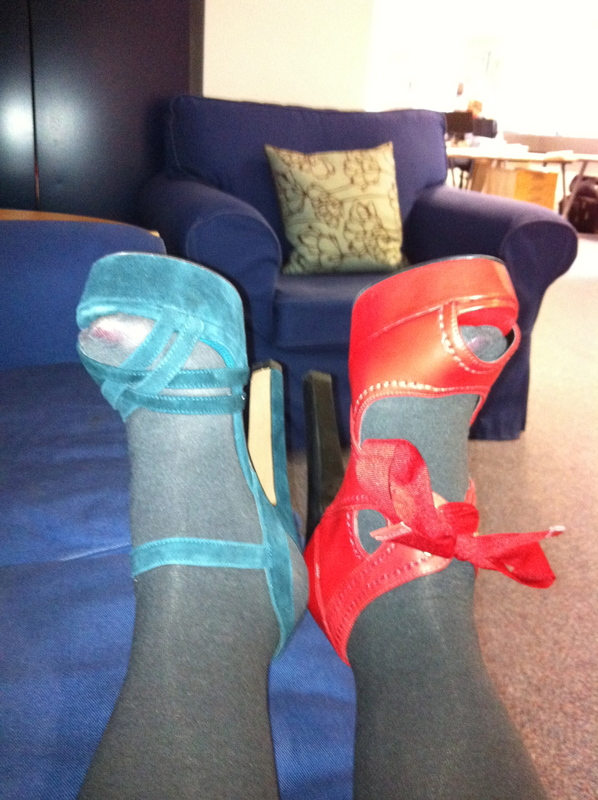 If MrShoeThatAlwaysFits is asking – it’s twenty pairs – it’s still too many in his estimation but almost reasonable. The truth is somewhat higher, which means that I need to have a clear out, a big one. Out go the scuffed, the worn, the almost never worn because I just can’t break them in, and the really really high ones. The keepers will be those which go with my clothes, the comfortable and the still smart; along with a couple of implausibly spindly heels for proper black tie events. The only problem with having a clear out is the urge to buy more. I must desist. I must desist. I’ll be sad to see these beauties go, but with a 5 inch heel height both of them are just a tad too impractical to be contenders. They’ve been a talking point over the last two years, but it’s time to say goodbye. 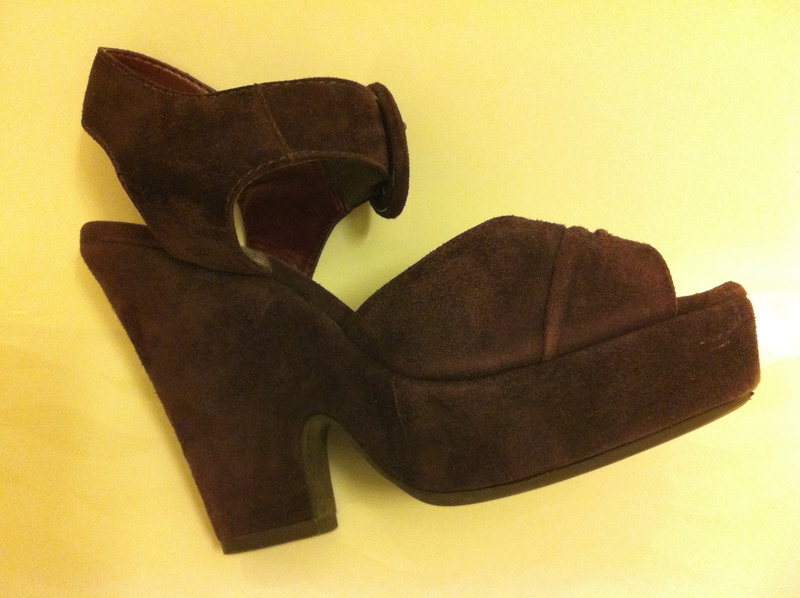 Goodbye my friends, to my faithful purple suede wedges a well-worn favourite. Being a wedge, they were surprisingly comfortable and only steep downhill slopes could be deemed dangerous territory. And lastly, a pair that I’ve only ever worn once because they were so high that my feet took a week to recover after wearing them to a dinner. 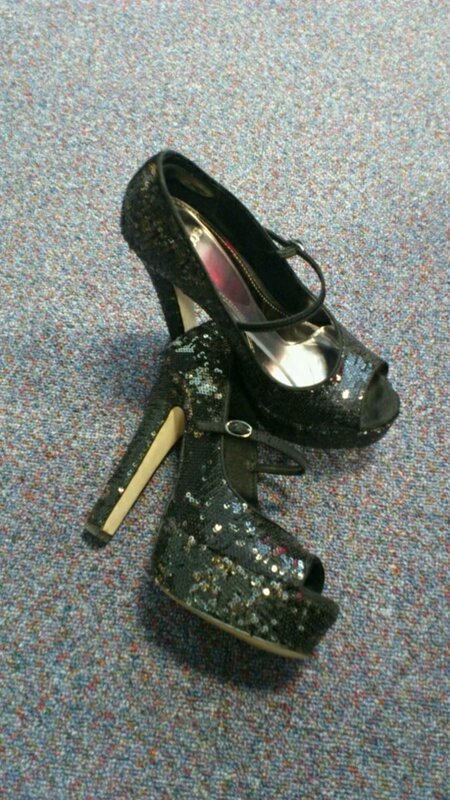 Pretty, glittery death traps. There will be others that I’ll have to say adieu to, but these four pairs will be the first to go. And for Mr ShoeThatAlwaysFits, that’s me down to 16 pairs. A completely sane and normal amount.